The project will add a bike path to the stretch of the river from Vernon (bottom right) all the way through DTLA and to the Elysian Valley (top right). Click for a much larger view. Photo by Steve Hymon/Metro. In recent years, biking and walking paths along creeks and rivers have become a staple of cities across the globe from San Antonio to New York to Denver to Barcelona and Seoul, to name a few. The paths offer many benefits: they can be used for commuting, exercise, access to nature and they just make living in a city a lot nicer. Existing L.A. River bike path in Vernon just south of Atlantic Boulevard. And the existing segment from Griffith Park to DTLA, just shy of its current terminus near the Riverside Drive bridge. 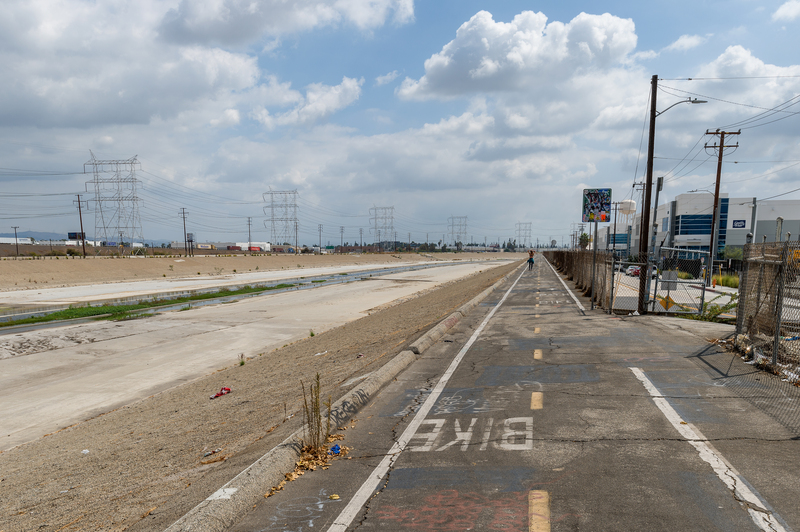 Our own Los Angeles River, in fact, has a very popular bike path — albeit one that is incomplete. One stretch runs from Atlantic Boulevard in Vernon to downtown Long Beach. The other segment goes from Griffith Park (near the L.A. Zoo) to Frogtown in the Elysian Valley just north of downtown Los Angeles. 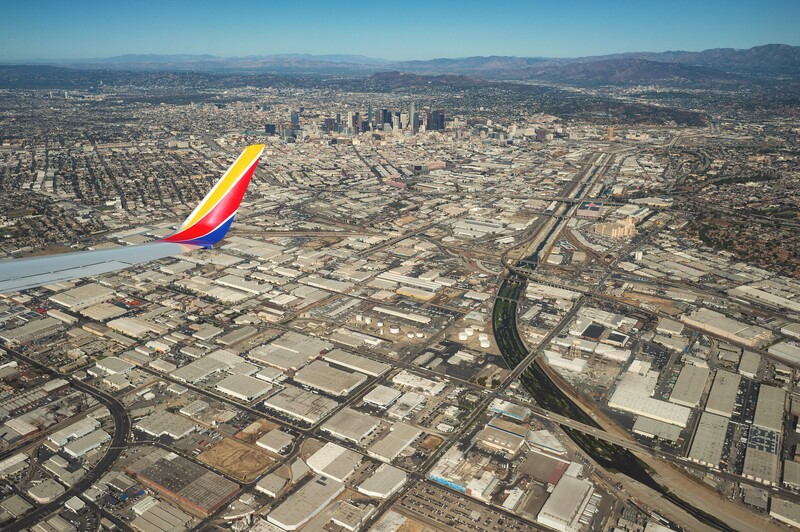 But the path is missing through DTLA and in the San Fernando Valley, which are two noticeable gaps. A Measure M project with $365 million in funding aims to close the eight-mile gap through DTLA between the Elysian Valley and Vernon. Formally known as the Los Angeles River Bike Path Gap Closure Project, the Metro-led project is scheduled to break ground in the 2023-26 timespan and be completed by the end of the 2020s. This is just one of many projects happening L.A. River-wise these days. 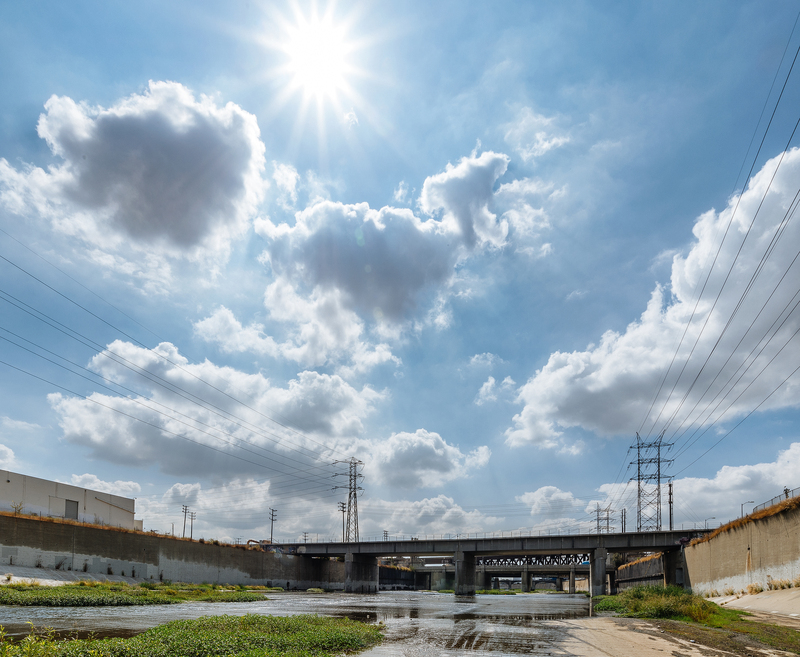 A separate project called the Los Angeles River Greenway is being overseen by the city of Los Angeles and aims to build a walk and bike path along 12 miles of the river in the San Fernando Valley, from the path’s current end in Griffith Park to Canoga Park. Metro’s Measure M is contributing $60 million in funding. All this means that we’re getting closer to the day when there will be a bike and walk path along all 51 miles of the L.A. River from the San Fernando Valley to downtown L.A. to Long Beach. 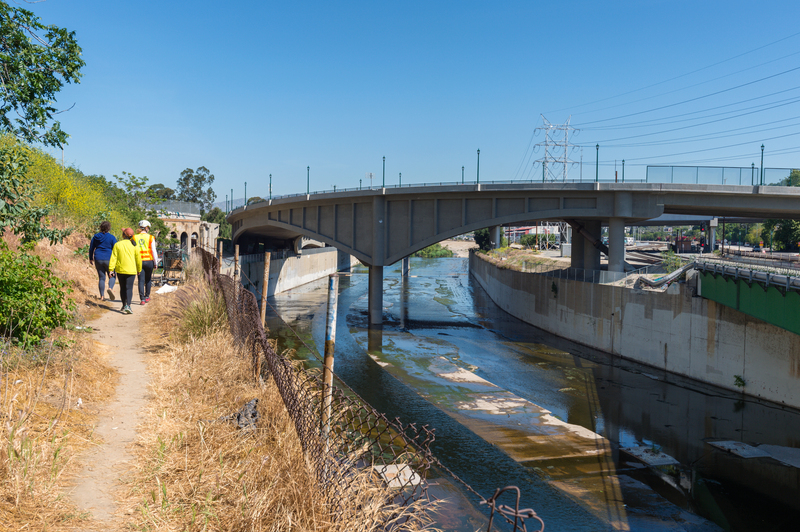 The bike/walk path will also serve as a huge compliment to the Los Angeles River Revitalization Project that aims to use smaller projects to improve river habitat and ecosystems while preserving flood control in the 11-mile stretch between DTLA and Griffith Park. 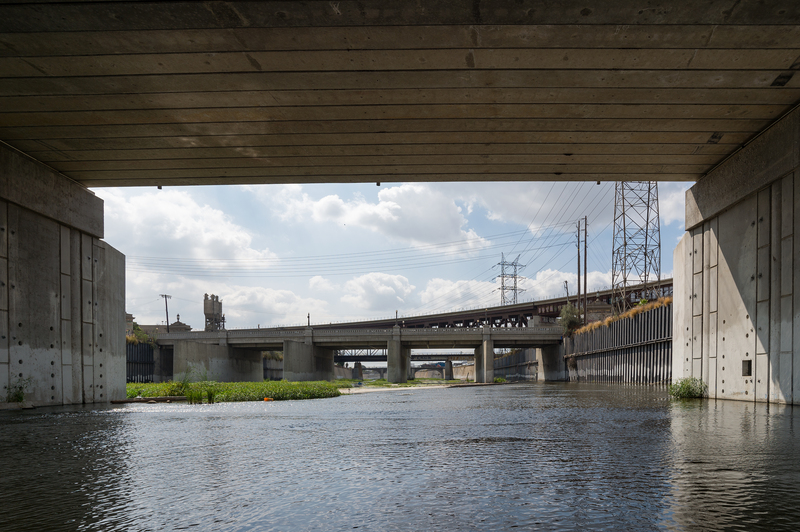 •This project isn’t just about providing a chance to ride the length of the entire L.A. River. Closing the gap in the bike path will allow for many shorter rides — for example, Downey to Vernon, Boyle Heights to Commerce and Atwater Village to DTLA, to name just a few. 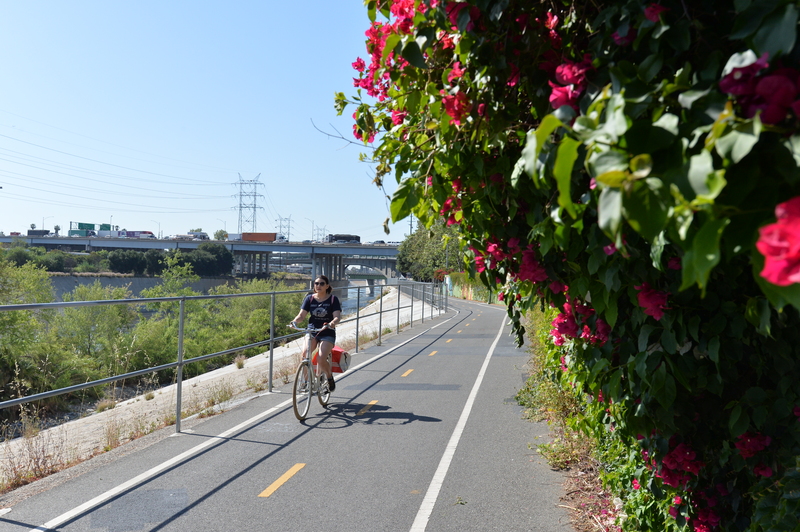 The L.A. River bike path will also connect to dozens of other local bike paths and routes, creating a much more comprehensive local bike network. As we’ve discussed on this blog for years, networks are very powerful and attract more users — whether it’s networks involving bike paths, transit or freeways. •Building a bike path may not sound complicated, but this is a tough project because of the existing infrastructure along this eight-mile stretch of the river. There are railroads, flood control walls, bridges, pipelines, power lines, parking lots and buildings and not a ton of space for a bike path that Metro wants to make as nice and first-class as can be. That will make the permitting, environmental clearance and design process for the project much more complicated than in other sections of the river. The view of the river through DTLA looking south. That’s the 1st Street Bridge at bottom. A challenging section of the L.A. River just south of downtown with bridges and electric towers along the western bank. –The path will most likely be on the river’s west bank. The existing path on both ends of this project are on the west bank and Metro controls the right-of-way along the west bank for most of this project’s length. By contrast, the east bank of the river is privately controlled and owners are not as receptive to hosting a walk/bike path. There still may be a couple of areas where short stretches of the east bank are used. Metro staff exploring a slide of land on the west bank of the river between the Riverside Drive bridge and structures that carry the 110 freeway and rail tracks across the river. –The path will likely be either on top or near the top of the channel walls. Some new structures may be needed to support the path and the path could in some places be carved into the existing channel walls. Looking south from the Broadway Bridge to the Spring Street bridge. As you can see, space is a challenge on both banks. –An earlier study looked at the concept of a bike path at the bottom of the river channel. While that would be easier to construct, it would pose a number of other problems. The foremost is public safety since the channel is filled with water often enough that the path would be flooded or closed on a regular basis. The river still carries water outside rainy season from runoff, including releases from water treatment plants. And this: the river channel is sometimes covered with a ‘permaslime’ that is slippery and, as the name implies, not super pleasant. The river bottom just south of DTLA. –This eight-mile section of the L.A. River path will have a dozen or more access points — Metro knows that the more access there is, the more the path will be used. This part of the path is on a stretch of land isolated by rail tracks and industrial areas, so Metro will have to look at building really solid connections to surrounding communities. –Metro completed a technical study last year that found this project is feasible — it’s an interesting read for those who want further details. The agency on Oct. 31 released a Request for Proposal for a contractor to supply planning and design work for this project. If you would like to see more photos, check out this Flickr album. –There have been a number of other river projects in the news in recent months. 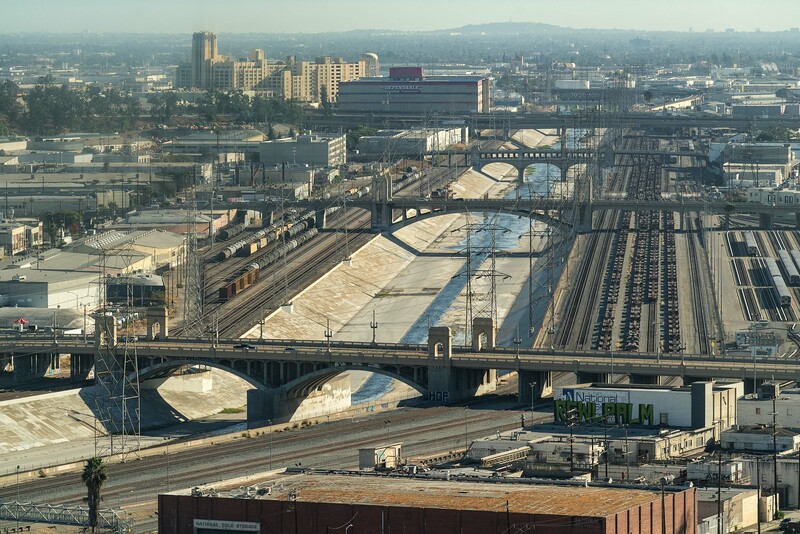 The city of L.A. is planning to turn 41 acres into park space at Taylor Yard, a former Union Pacific rail facility in Cypress Park. In DTLA, the city is also rebuilding the 6th Street Viaduct; the new structure will have dedicated bike lanes and ramps as well as park space on both sides. And the city is planning to build a new pedestrian/equestrian/bike bridge across the river linking Atwater Village and Griffith Park. What do you think about the project? Comment please. I have worked at/on/in the LA River. The permaslime is real, but can be fixed in a number of locations for relatively cheap. Doing so will make it safer and nicer overall. Place with a hard bottom need better dry weather channelization. Faster (and deeper) flow in a narrower area will cut the growth down, and keep it better contained. It will also help bigger fish to get further up river. This will also be better for kayaks and canoes. In the ‘natural’ bottom (no concrete) areas, it will be a bit more expensive to fix. There needs to be more of a stepped side near the bottom. The flat concrete near the bottom needs to be normally dry. Forgive my ignorance, but why do continue to have long parts of the river with flat concrete bottoms? Natural bottoms seems more conducive to create a more vibrant river area with greenery and wildlife where it can become a destination instead of an obstacle. 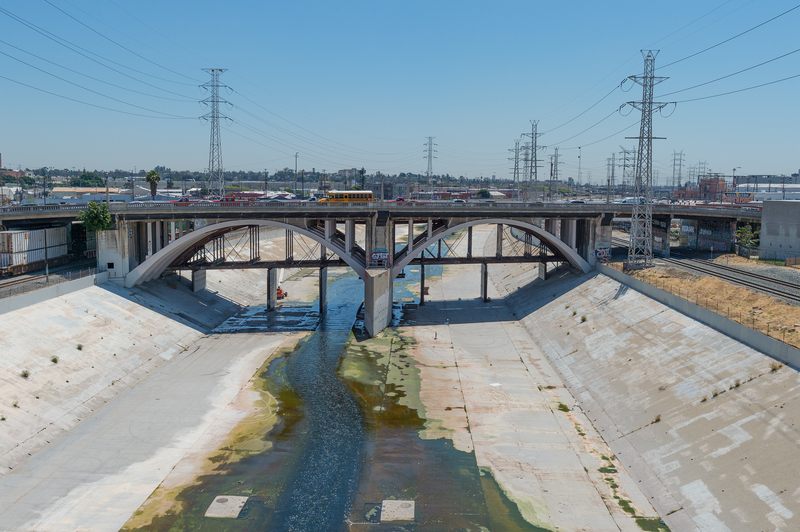 The only year-round waterway in LA and it has not progressed much beyond where it was when it was concreted up in the 1930s. There is probably a reason why it is still mostly concrete, but it seems such an easy solution to beautify the river by removing the bottom concrete (while keeping the concrete slopes and walls intact). That’s a good question. I’m guessing — emphasize guessing — concrete helps move water downstream more quickly, thus fulfilling the goal of the flood control project. To anyone interested in the topic of flood control in our region, I highly recommend reading John McPhee’s “The Control of Nature,” which includes a long article titled “Los Angeles Against the Mountains.” Very entertaining and the gold standard for explaining geology and hydrology in our region. The article first appeared in the New Yorker way back when. You can find the book in most bookstores or online. Quite a view from your office in Metro Tower in the top photo. Still working on identifying all the landmarks in the background. Yes, please to this project! If we build a group of volunteer workers, could we speed the process up?? The riverbottom plan is what should be built. If we get tons of money in the future, maybe we can build the never-has-to–to-be-closed version above it. Permaslime is only a problem for concrete underwater. The in river trails are built at least 18″ above the channel bottom, and will only get covered during heavy runoff, which only happens when it’s raining/just rained, when people don’t love to bike anyway. Cheap and functional gets done. Building either on top or near the top of the channel walls will double the cost of this project. Understood. In fairness, there are other streets besides Washington to access nearby communities. It sounds like they are saying that the path project won’t actually extend out onto city streets. They will just build the path and it will be up to the city/cities) to build the interconnections to the broader bike plan. Hopefully the Gap Closure process will at least plan ahead for access points at logical locations even if there are no on-street facilities at those points yet.